Margaret Thatcher will be best remembered for having said that "There's no such thing as society". This was taken out of context. Her exact words, I am told were "There's no such thing as society. There are individual men and women and there are families. And no government can do anything except through people and people must look after themselves first. It's our duty to look after ourselves, and then, also, to look after our neighbours." "No such thing as society" seems to have its origins in US libertarianism, perhaps in the writings of that writer much admired by libertarians, Ayn Rand. The statement, together with the changes that came with 1960s "freedom", gave assent to the change in social attitudes that have brought Britain to its present condition. It is precisely the kind of view that one would expect to be expressed by a grocer's daughter from Grantham, a small market-town in the East Midlands. In the context of the permissive society of the later 1960s, the result was that Britain ended up with the permissiveness without the society. This is apparent the instant you step into Britain today. There is a such a thing as society and consequently a public realm. In Britain, this public realm is not valued as it is in other countries, and it is noticeable, down to the minutest triviae. The statement is also a denial of fact that governments have duties. Extreme global poverty could be eradicated by the end of the next decade under optimistic new targets unveiled by the World Bank. The bank's president, Jim Yong Kim, claimed that there was now an "opportunity to create a world free from the stain of poverty" by 2030. How land values are sustained. This is what happens when infrastructure services prove not to be not up to the task - the aftermath of Hurricane Sandy and its effect on land value. A church for the poor? New popes always bring a new direction to the Catholic church. It is over 120 years since the first of the Social Teaching encyclicals, Rerum Novarum, was issued by Pope Leo XIII in 1891. This was interpreted as, amongst other things, an assertion of the rights of both workers and property owners, and, importantly from our perspective, a condemnation of land value taxation. The latter led to the writing of a defence of land value taxation by Henry George, under the title of The Condition of Labour, and the presentation a copy of the book to the Pope. The main defect of Rerum Novarum is that it conflated land and capital under the heading of "property", just as did the classic Marxist analysis. Taking it as a starting point, however, it follows logically that if property is a good thing, then everyone should have some, which is not going to happen if a few people have too much. That was the origin of the political movement called Distributism, as developed by Hilaire Belloc and G K Chesterton in the 1920s and 1930s. Its ideal could be summed up in the phrase "three acres and a cow". That would certainly be better than the kind of economies which prevail almost everywhere today, although I would rather have my three acres at the north end of London Bridge than in the fells of Cumbria. Further Encyclicals issued in 1931 by Pope Pius XI, and subsequently in the 1960s and 1991, emphasised that property owning brought with it duties to the community, including the idea of "stewardship", though the particulars of these duties were never spelled out. The special nature of land was, however, referred to on several occasions but again, this was never been followed up as it should have been. The most recent Social Teaching encyclical, from Pope Benedict, Caritas in veritate, came out in 2009. This has received relatively little attention, but it takes the whole subject back to square one with an emphasis on justice. It is potentially a good foundation to develop a fresh body of teaching, but the trouble is that the Church's experts generally come from a conventional academic background which obscures rather than clarifies. It would be unwise to expect too much but there is no harm in hoping that a pope who has declared for the poor will see that the Catholic church grasps the issue, and not before time. 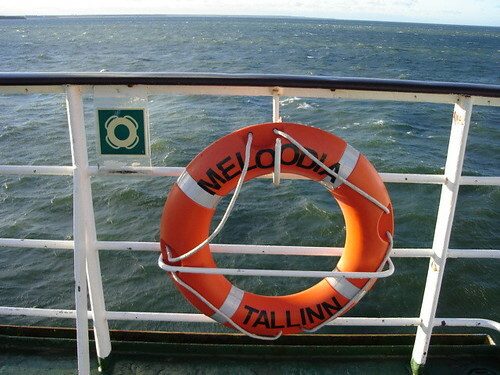 No reflection on Tallink who owns the rather blingy ship which sails on the Tallinn-Stockholm route. 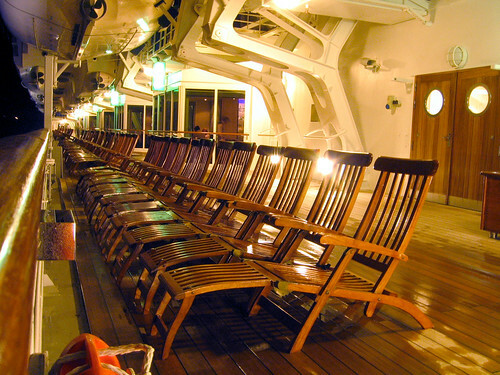 Comfortable cabins, nice food and all the crew and staff speak English. London's West End is the world's most expensive office market once again after regaining its crown from Hong Kong's Central Business District (CBD), according to research published in Cushman & Wakefield's Office Space Across the World 2013. The report from the international property consultants highlights the scarcity of quality space in London which has increased competition and consequently inflated office rents by 2% in the West End to make them the most expensive in the world. "As a truly global city, London's appeal continues unabated. In conjunction with a scarcity of good quality stock, prime rents have increased over the year," said Digby Flower, Cushman & Wakefield's Head of London Markets. He added: "Equally importantly we expect rents to grow further as we get into recovery mode." Hong Kong's CBD drops down into second place, while the Zona Sul area of Rio de Janeiro climbs from 8th last year and powers into the top three most expensive office locations in the world as a result of a 43% rental increase compared to 2011. A related London phenomenon is the high-end shopping boom. Rights campaigner Andy Wightman has written A Land Value Tax for England, which presents the case concisely. My only criticism is that he refers to "annual rental values" and then talks about an initial rate of around 2%, which is presumably 2% of the selling price, and therefore about 30% of rental value. Apart from the need to go over these figures, this can be recommended. It is not altogether clear if he is aware that existing taxes cut into the potential land value tax base. It is not something that needs to be spelled out in what is an introductory document as it is a difficult concept to grasp, but it means that the replacement of existing taxes by LVT sets in train a benign fiscal cycle which is precisely what a heavily indebted government needs to get out of its troubles.